Jellyfish are pretty to look at but not so fun to be around in the ocean. 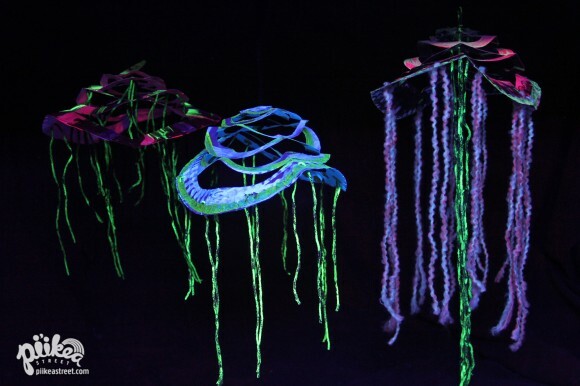 So we’ve thought of a way to bring their neon glow into your home without the sting. Check it out! First cut yarn according to how many tentacles you’d like. Three feet is a good measurement to start with. 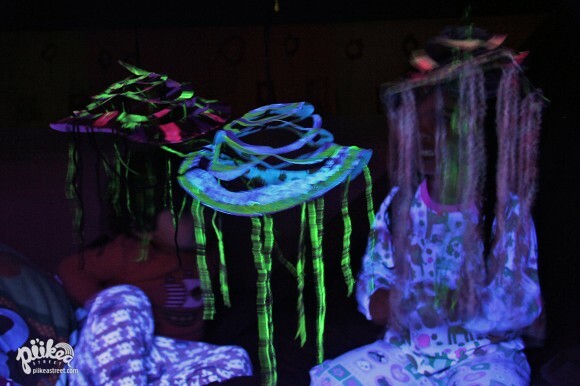 Then place your yarn in a cup and squirt a tablespoon or so of glow paint on top. Mix it up using a disposable chopstick or plastic fork. Allow to dry either in the cup or spread across a clothes hanger. 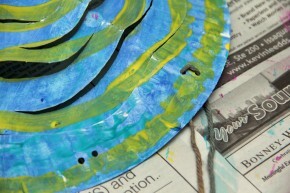 Next prepare your jellyfish by painting a paper plate. 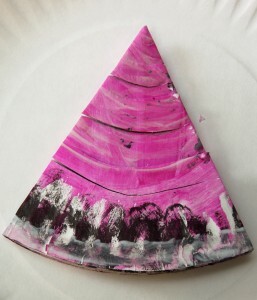 Allow to dry and paint the bottom of the plate too. Depending on the type of glow paint you have, you can mix it into the paint or paint on after the poster paint is dry. Open the triangle carefully. Punch two holes in the center so you can hang the jellyfish. Then punch holes along the edge for the yarn. 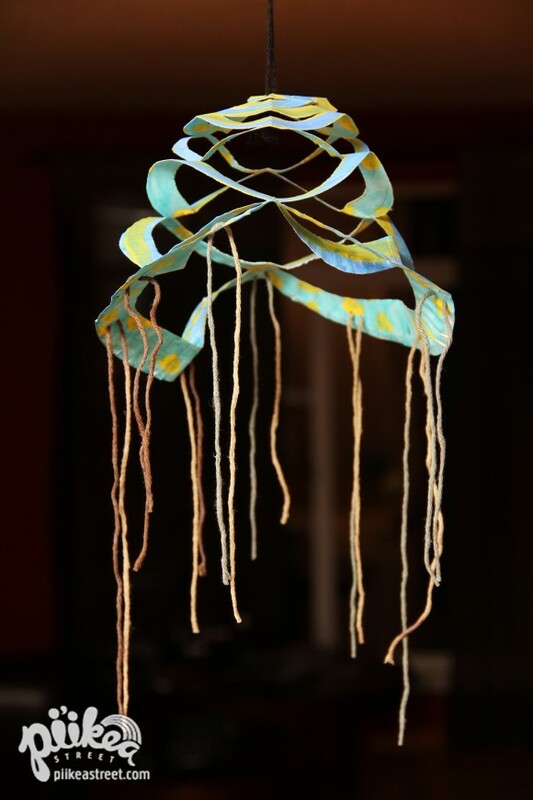 Thread more yarn through the center and hang up your jellyfish. These look really neat under some black light, don’t you think? They still look cool even without the black light.